Stephen Fallon is a Vice President, and he leads the Health & Welfare Practice for Insurance Buyers’ Council, Inc in the development and implementation of strategic initiatives and client-specific service plans for IBC’s clients. Mr. Fallon is a Vice President, and he leads the Health & Welfare Practice for Insurance Buyers’ Council, Inc. in the development and implementation of strategic initiatives and client-specific service plans for IBC’s clients. 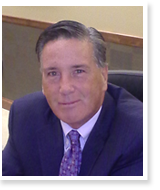 Mr. Fallon has more than 28 years of employee benefits experience specializing in public sector benefit strategies. He has worked with over two hundred municipalities, boards of education, and county governments. In 2004 Mr. Fallon joined IBC to help create the Employee Benefits Practice specializing in helping large employers and public sector plan sponsors in managing the costs and delivery of their employee benefit programs. Mr. Fallon is a member of the Association of Governmental Risk Pools (AGRIP) Health Pool Resource Group. In addition, he has conducted client seminars on various topics including collective bargaining strategies, cost containment, and wellness initiatives. Prior to joining IBC, he served as Director of Benefit Solutions for a New York based benefits consulting firm where he developed a Public Entities practice specializing in meeting the employee benefit needs of municipalities and boards of education. Mr. Fallon is a graduate of Villanova University with a Bachelor of Arts in Political Science/Honors.